Blackened and groovy sludge metal from France, one of the most exciting bands signed to Apathia Records, ready to melt your skull with a doom inflected sound that will bring your skull down to a point and then grind it down. Their new record a self titled mini-masterpiece is six tracks of destructive doomy goodness. A band who do not fear the consequences of their actions Oruga will slowly punish you as your body becomes a victim to the sound. A band who pull you apart, limb from screeching limb, Oruga is one of the best doom/sludge debut's I've heard in a long time. I really love the strange grooves that dominate this record. At best they remind me of sludgy Lamb of God tracks like Swallow the Sun. Yet there is something more here, touches of black metal anguish and desperation. It makes the songs even more poignant and showcases a band who die for their music, even as they inch forward, dragging you along inch by bleeding inch. Their is a harsh determination to these tracks, one that is made especially clear in songs like Northern Promises. There is no way Oruga are going to give up unless they pull you down with them. 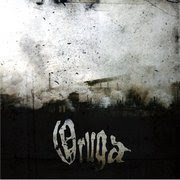 And so we voyage slowly, towards the inevitable meat grinder of Oruga's musical nirvana. In conclusion, Oruga is an album that is almost impossible to hit pause on. It's colossal forward motion is not formed by a blast beat driven sound, but rather gradual and destructive riffs that slowly seep into your bones. An album that reaches out and simply touches the soul Oruga leave you begging for more. These are songs that will stand the test of time, and I certainly hope we get to see Oruga prosper. As for now, turn it up, sit back, and let your soul flee from your body as you are inundated with the incredible power of a band made for heavy metal.